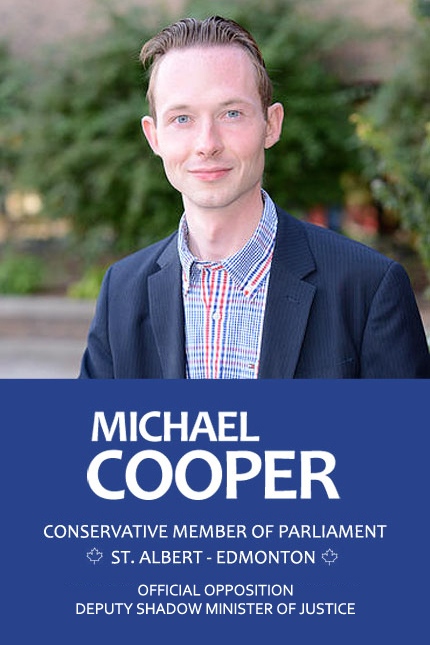 Michael Cooper is the Member of Parliament for St. Albert-Edmonton. Elected in October 2015, Michael serves as the Official Opposition Deputy Shadow Minister of Justice. Michael is the Vice-Chair of the Standing Committee on Justice and Human Rights, and served as Vice-Chair of the Special Joint Committee on Physician-Assisted Dying.